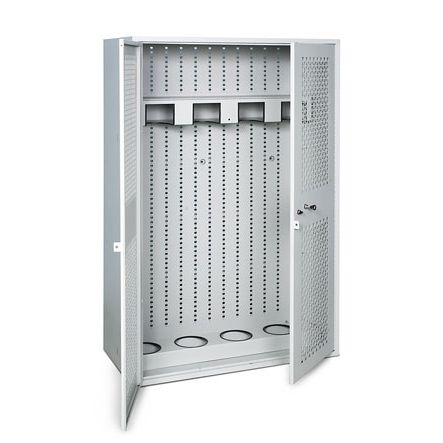 The M2 Rack is manufactured with heavy gauge steel (280lbs./127kg. empty) and designed to securely store four M2 machine guns and 8 Barrels. 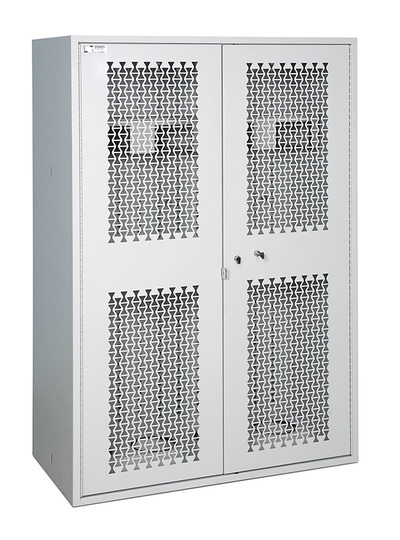 Both the barrels and the guns are pad-lockable (padlocks not included). 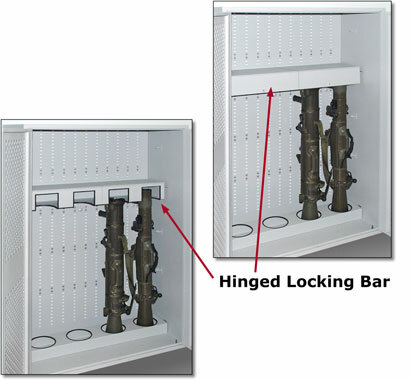 All four M2 guns are locked and unlocked simultaneously with an all steel cylindrical locking bar that slides through the lock paddles. 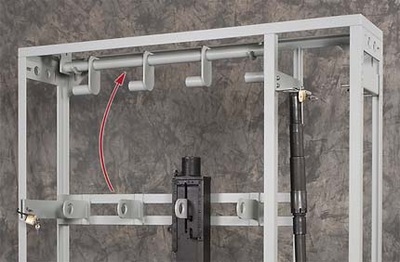 Once the locking bar has been removed there is easy access to the guns as the locking bar is stored on two hooks in the inner top portion of the rack. 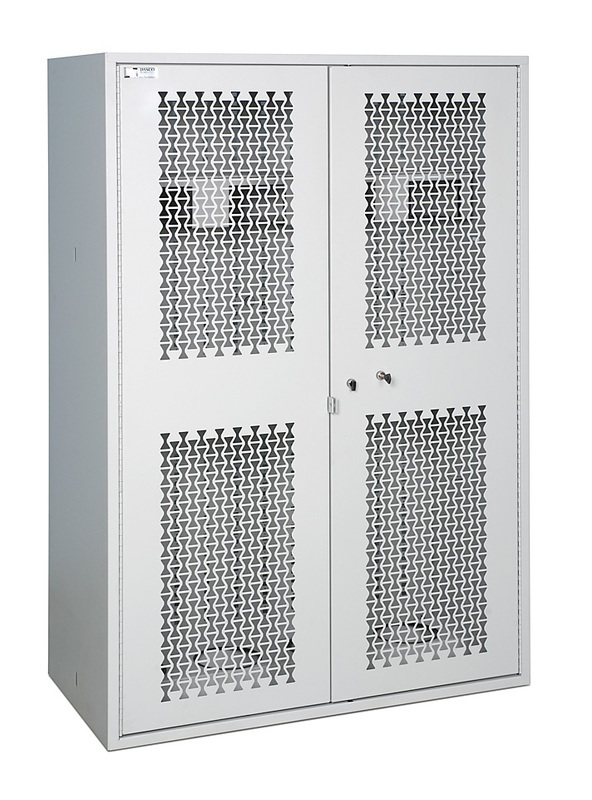 The barrels are stored vertically in two groups of 4 and padlocked through a steel support plate and steel hinged plate. 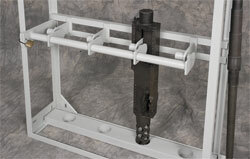 The lower portion of each barrel is cradled in its own heavy steel support base. 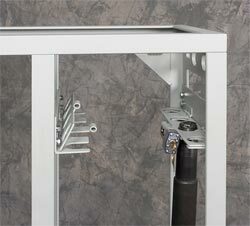 Optional 4 capacity Barrel Support attaches to the top of the M2 rack. Adjustable in width and easily installed.